Things are heating up at AmericanMuscle.com and as always, Justin is here to give you the details. June is set to be a fun time if you’re a Mustang enthusiast–AM has a bunch of exciting new parts hitting the website this month, a couple project cars making their triumphant return and a contest for a free set of MMD wheels. 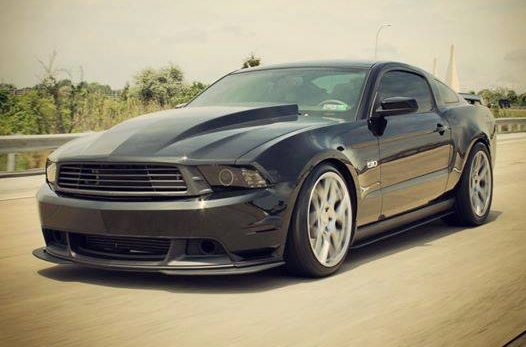 Dan’s 2011 Mustang GT build is back and this time he’s raised the bar higher than ever before. After installing a Vortech blower and performing a baseline tune @ 7 PSI, his sinister GT put down a solid 653/509 RWHP/TQ. With a more aggressive tune Dan will be back at the track this summer looking for that elusive sub-10 second quarter mile pass. When he’s got his timeslip, you’ll be able to read all about it here on the blog or in the next release of AmericanMuscle’s parts catalog. Project Foxbody is also making a return this month. With a new clutch, this Fox is hunting for a 10 second pass. AmericanMuscle is also proud to announce that they have partnered with Stainless Works Exhaust. You can now get all of the most popular Stainless Works parts here at AmericanMuscle.com. 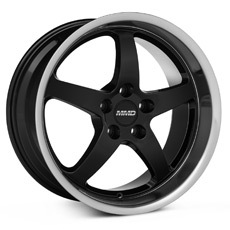 MMD continues crank out killer new wheel designs. 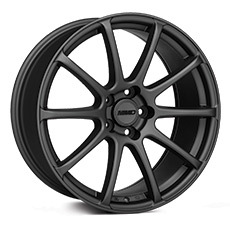 This time, they’ve released the Kage and Axim wheels for all 2005-2014 Mustangs. I’d like to see a tutorial on methanol injection system. I have a pretty heavily modded, boosted and air to air intercooled 04 Mustang GT. Methanol is something I would like to know a little more about. It’s cheap and from what I hear a good safety measure for boosted cars. From the install to the system options, take me to school. Im trying to find all the other rendering for the 2015 mustang. Like the Eleanor mustang in the video. Where would I be able to view them? Yes please, where are the rendering for the 2015 mustangs? yo its june 9th where are the renderings at? Bring on the renderings, especially the Bullitt & Eleanor.